Hong Kong is not just a great tourist destination but also a place to enhance your educational qualifications. A degree from Hong Kong’s well-known universities will further increase your career prospects in future. Apply for a Hong Kong student visa and see your dreams of studying abroad getting fulfilled. Hong Kong offers you quality education at affordable prices at some of the world’s best Universities. Students from Asia and other parts of the globe throng this popular student’s destination. Since the country is not too far away from India, a lot of Indian students go there to get enrolled every year. 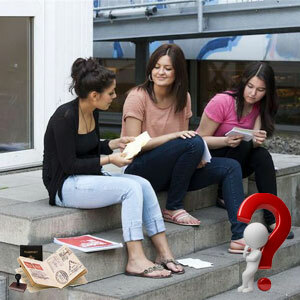 However, one needs to know beforehand how to apply for Hong Kong student visa from India. This could be an educational institution who has granted an approval to the applicant who should be 18 years or more. The sponsor can also be a resident of Hong Kong or an acquaintance who is able to support the applicant financially. A ‘’Declaration by Financial Sponsor’’ must be duly filled and signed. Also, a parent or guardian should authorize the sponsor to support the applicant during the entire period of study in Hong Kong. To study in Hong Kong, the applicant should duly fill and submit Form ID 995A while the sponsor has to fill out the form ID 995B. These forms can be downloaded or obtained from the immigration department headquarters or the immigration branch offices. Additionally, a recent photograph should be affixed on page two of the form. Prepare a list of all the necessary documents to be furnished at the time of filing an Hong Kong Student Visa application as stated below. Once ready with the requirements: Submit your Hong Kong student visa fee to India’s Chinese embassy. Alternately, you can approach the Centre of Development and Resources for Students (CEDARS). Fulfilling all the above requirements of Hong Kong student visa will ensure your gateway into the best Institutions in Hong Kong where you can gain knowledge and enhance your skills.